“What difference does Jesus make?” or more simple “Why Jesus?” is one of the most significant questions we can ask. It cuts right to the heart of Jesus significance to all of life. If we look at all the Scriptures reveal to us about Jesus, we discover that He is our Creator and all things were created in Him, through Him and for Him (Colossians 1:16). Jesus now sustains and moves everything along (Colossians 1:17, Hebrews 1:3). In the end, all things will be brought together and summed up in Jesus (Ephesians 1:10). Jesus stands at the center of our past, present and future; Jesus defines reality. Christ is my life. 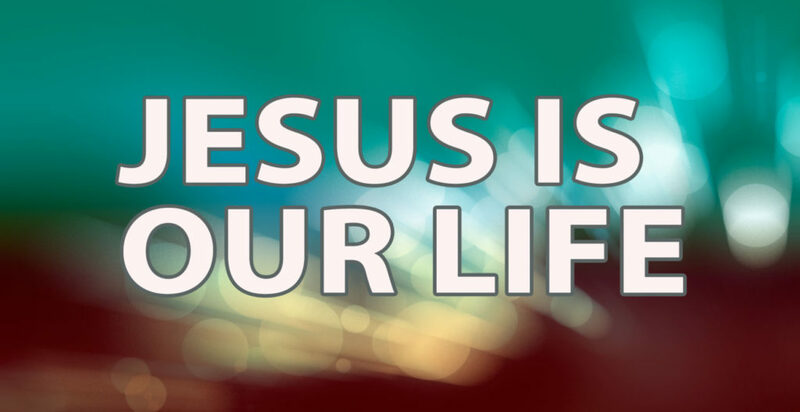 Christ is your life. Christ is our life. What a profound and awesome statement. This week marks that high point in the Christian calendar as we look toward Easter. We remember and mourn Jesus’ death on the Cross and we celebrate His resurrection in hope. He has given His life for us in death and in defeating death He is able to give His life to us. Here Paul is obviously not speaking about physical death; he is speaking to people who are physically alive. Instead, what Paul is referring to is spiritual death. In the Bible, there are three types of death and each of them are a form of separation. The first type of death, physical death is simply the separation of the soul/spirit from the physical body. The body goes into the ground (to await resurrection) and the soul/spirit goes either into the presence of the Lord or hell awaiting the day of final judgment. The final form of death is the Second Death, or eternal death, and this is being separated from the presence of God and all that is true, good and beautiful for all eternity see Revelation 20:6, 14; 21:8). This is the Lake of Fire described in Revelation. Each of us were born spiritually dead – cut off, alienated from God – because of Adam’s sin. This is why Paul says that we were dead in our sins, not because of our sins. The terrible truth is that we sin because we were born dead. If nothing were to change, we would one day add physical death to our spiritual death and then enter into the Second Death – separated from the life and provision of God forever. The good news of the Gospel is that Jesus is life and He has come to give us life. The Bible affirms that Jesus is sinless and this means that death could have no hold on Him (see Hebrews 4:15, 1 Peter 2:22). Jesus did not die because of His sin; He entered death because of our sins. Jesus experiences death (some translations have “taste death” here) on our behalf. If we think about this in the larger picture we can see that Jesus experiences all three forms of death. On the Cross He is separated from God as Father and so experiences spiritual death and the torment of the second death as God the Righteous Judge turns the Son over to the consequences of our sin and rebellion. At the end of this, Jesus experiences physical death when He dismisses His soul/spirit into the hands of His Father and his body is buried in the grave. Jesus has conquered death. On the Cross He also conquered the Devil, our Adversary who used death to terrorize us. The Gospel proclaims this awesome victory. Jesus has defeated the final enemy – death – in all its forms, therefore for those who are “in Christ” death no longer has any sting. If you “have” the Son, if you have placed all your hope in Jesus by believing, trusting in Him, then you have eternal life. And take note of this: Eternal Life is not an abstract idea, it is not just living forever – it is a person, Jesus! Eternal life is our relationship with Christ. If we trust Christ to save us, then we have eternal life in Him now.